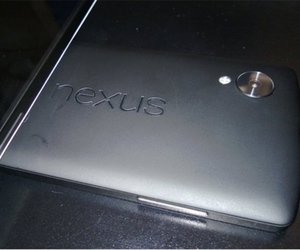 There has been no shortage of leaks that “claim” to show of LG’s new Nexus 5 smartphone. But from the past few months, we may have just hot the jackpot. The folks over at Android Police got their hands on a near-final draft of a service manual for the Nexus 5 that still bears the same LG D821 model number. The document is packed full of diagrams, charts, and graphs, but there’s a lot to consider and pick out before you go diving into the document. We now have a new look at the device. “The document also gives us a peek at most of the device’s specs, confirming and expanding upon recent rumors – here’s a quick rundown of what it reveals. Says Android Police. This document indicates the same dimensions as the Nexus 4, though, this is a draft so it is likely an error. If LG requested the document to be removed, maybe its because they don’t want people to know about it? Indicating that this could be the Nexus 5. Same thing occurred when Google accidentally leaked an image of the Nexus 5 when they unveiled Android 4.4 KitKat. What do you think? Will this be the new Nexus 5? And if so, will it be exactly like this and would you buy?